NOTE: This is the site for the 2018 edition of Kolaj Fest New Orleans. Click here to visit the site for 2019. Kolaj Fest New Orleans was a multi-day festival & symposium about contemporary collage and its role in art, culture, and society, July 12-15, 2018. 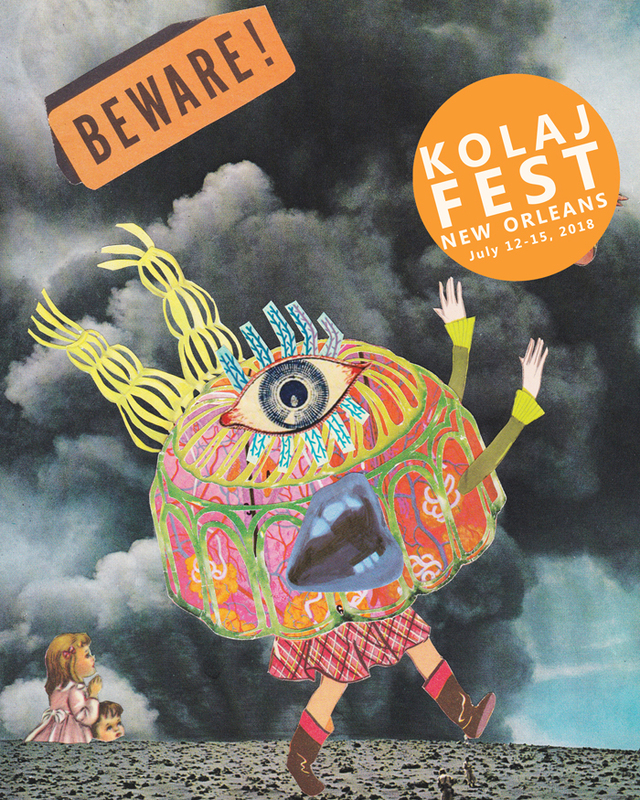 This Kolaj Fest New Orleans Program Book was a document of all things related to Kolaj Fest. In these pages, you will find a schedule and descriptions of sessions, bios and website information for artists and presenters, descriptions of evening events and special programs and some helpful information about getting around and being in New Orleans. Click the cover image to download a PDF version of the Program. Kolaj Fest New Orleans is a decentralized festival with events taking place primarily at six locations. 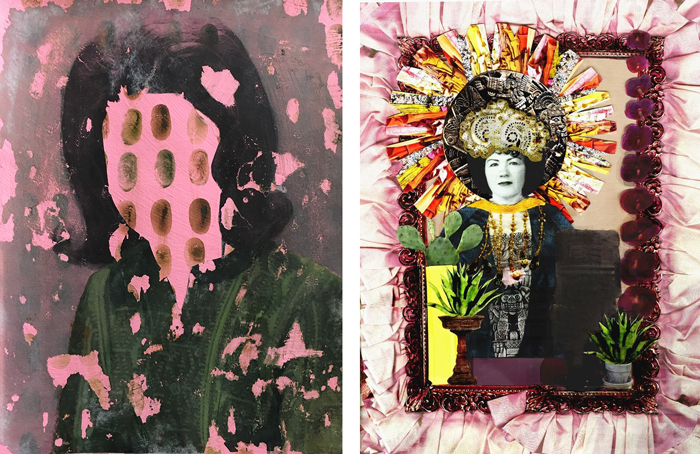 A number of New Orleans galleries are hosting collage and we encourage you to visit them. Here is a list of the primary locations. The WXYZ Bar at the Aloft is where folks will gather on Wednesday evening Meet & Greet and on Thursday and Sunday mornings for Daily Collage Congresses. The home of The Collage Making Space. Site of the exhibition, “Revolutionary Paths: Critical Issues in Collage”; Thursday’s special talk “Firelei Báez: Road Map of Symbols”; and Focus In sessions Thursday, Friday & Saturday. Site for Saturday evening’s “Why Is That Dinosaur Holding a Vacuum & Other Stories from the World of Collage”. Kolaj Fest New Orleans made possible through a generous gift from Laurie and Doug Kanyer.